Before we talk about 2017, let’s go back a few years. When IMPACT arrived at INBOUND 2013, our heads were held high. We expected to have a big night. The year prior we won awards for Rookie of the Year and Best Content, and we had made huge strides internally since. We moved into a bigger office. 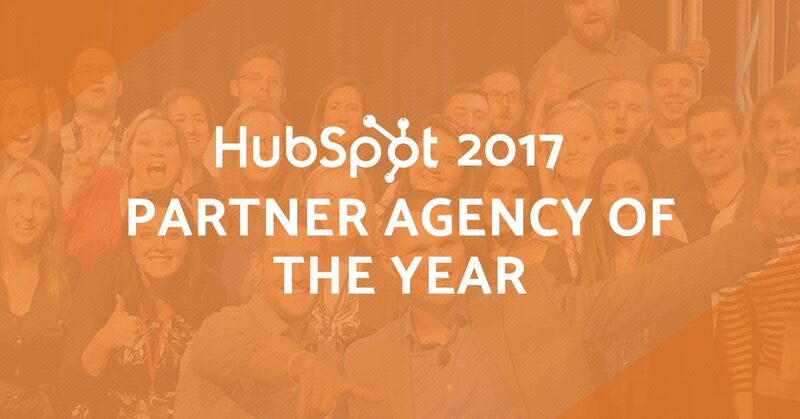 Because of those milestones, we were sure we were on our way to being named HubSpot Agency Partner of the Year — the partner program’s highest honor and one we coveted since we saw Element Three take it in 2012. But when the moment finally arrived, IMPACT’s name was nowhere to be found. And that lit a fire under us. We wanted to be at that level, to be recognized as the best of the best -- but wanting something and actually earning it are two very different things. Today, I’m proud to say that we have indeed been named HubSpot’s 2017 Partner of the Year, but this was 4 years in the making, and it was nowhere near easy. Filling two rows at the Partner Awards Ceremony & Reception (with our most tenured employees right down to interns who had just been hired full-time), finding out that we would be returning home empty-handed from INBOUND 2013 kinda sucked. Looking back on this experience now, we were a bit naive. Like most others in the industry, we were still learning inbound marketing and HubSpot (we’d only been a HubSpot partner for a year, after all) and we didn’t even know the criteria for becoming Partner of the Year. Heck, until our wins in 2012, we didn’t even know they gave out awards. We returned from Boston later that week realizing we didn’t have the company we thought we had. IMPACT still had a lot of growing to do and this was the catalyst. What was set into motion were more than two years of trials and tribulations that made IMPACT what it is today. We made personnel changes (some by our choice, some by theirs…), discovered what traits we valued in each other and in those we worked with, developed a true purpose for the organization, and brought on some real rockstars. One of the biggest pieces of this was puzzle came in 2015 when we rolled out our vision for what IMPACT would look like in 2018. 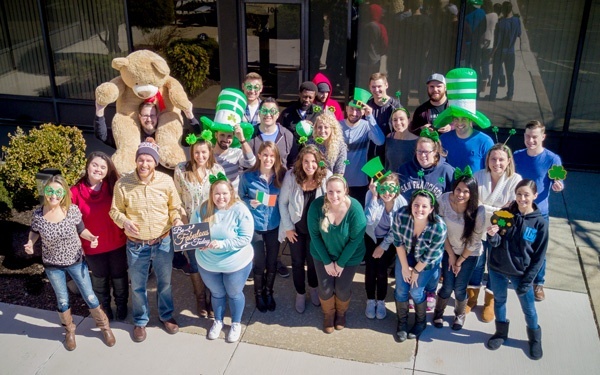 In it, we set some high aspirations relating to revenue and talent, but two of the most prominent were to be recognized as one of the best places to work as well as the top agency in the HubSpot space. In 2017, we accomplished both of these goals. 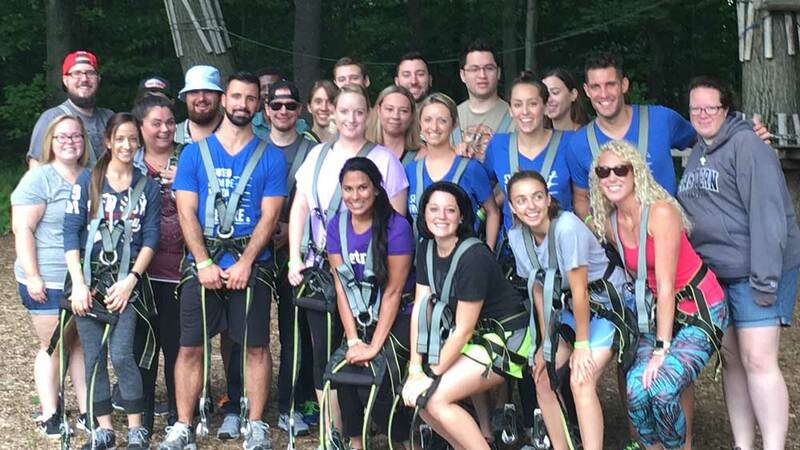 As many of you may know, in February, we became a certified Great Place to Work only to be named one of Fortune Magazine’s Top 25 Best Small Workplaces in the New York area later in the summer. Considering the turnover we saw a few years ago, these were two titles we worked very hard to achieve. Then, finally being named HubSpot’s Partner Agency of the Year today, we are totally humbled and overwhelmed with honor. Winning this award means everything we have gone through in the past four years -- the stress, frustration, late nights, failures, and sometimes even tears -- has paid off. But this doesn’t mean we’re slowing down. In fact, this is just beginning. It has been an exciting first eight years of IMPACT, but we still have a lot to work on. We’re defining a new vision for 2020 filled with new and exciting goals that will mean even bigger challenges. We know that our team needs to keep improving for each other, our clients, and the future of this company -- but we’re confident that we can do it thanks greatly in part to all of you. There are dozens of people who have had a hand in helping IMPACT grow to where it is today, and there is no way to really express how grateful we are. Thank you to HubSpot for giving us this immensely talented Partner Agency community that we are proud to be a part of, especially Pete Caputa, Kevin Linehan, Jordan Benjamin, Patrick Shea, Oliver Baron, Luke Summerfield, JD Sherman, Brian Halligan, and Dharmesh Shah. Thank you to our fellow partners who have offered advice and guidance through many of our growing pains including Paul Roetzer (my role model over the last six years), Marcus Sheridan, George B. Thomas, John McTigue, Tiffany Sauder, Greg Linnemanstons, Shawn Fitzgerald, David Meerman Scott, Robert Solomon, and Tara Robertson. Thank you to all of our clients -- Those who we succeeded with, who we wish we could have been better for, and especially those who have been with us from the beginning of our journey with HubSpot and have stuck with us through all of the learning. The faith you put in us and the success of your organizations is our never-ending motivation. And most importantly, thank you to everyone who has been a member of the IMPACT team in the past four years. Whether you were here as an intern, a consultant, or a tenured, full-time team member, your time and effort left its mark and helped shape this organization as a whole. Thank you for the time you spent here, helping us make our vision a reality.